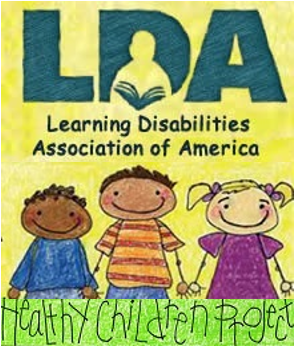 The Learning Disabilities Association of America (LDA) is putting the final touches on its 56th Annual Conference to be held at the Omni Hotel in Fort Worth, Texas, on February 18-21st. During some recent house cleaning in the national office, we learned that the annual conference gathered in Fort Worth 50 years ago! To celebrate this fun coincidence, we are putting on our cowboy boots and hosting a hoedown, “Deep in the Heart of Texas.” The fun begins at 6:30 p.m. on Tuesday evening. There will be line dancing, mechanical bull riding, photo booths, Texas-style barbecue, drinks, and more! This year’s conference also continues its long tradition of highlighting exceptional keynote speakers. Anne Ford, the great-granddaughter of Henry Ford, author, parent, and advocate, will kick-off our week with “hope” as she shares her personal journey through parenting a child with learning disabilities. On Tuesday, Dr. Eric Tridas, a Developmental Pediatrician and Medical Director of the Tridas Center for Child Development, will provide us with a practical way of looking at individuals with learning and behavior differences as he explores the “developmental web.” Dr. Alba Ortiz, one of the nation’s leading experts on special education for English language learners, will explore the perplexity between a language difference and a learning disability on Wednesday morning. Additionally, more than 150 breakout sessions will bring together some of the best researchers, key policy experts, and practitioners in the field to present and discuss the challenges and best practices being implemented across the country and internationally. Included in the topics covered are sessions on instruction and professional preparation, early childhood, post-secondary and adult issues, public policy, mental health, cultural diversity, assessment, technology, and parents, and family. Wednesday afternoon will feature several 90-minute sessions presented by popular speakers. Even more opportunities for learning and networking will be available through events such as our Table Talks for Teachers, Poster Sessions on the most current research, and the Network Nook. Other activities included in your registration are Monday evening’s Welcome Reception, an extensive exhibit hall and the bookstore. There will also be a state of the art Assistive Technology Lab where you can participate in presentations and AT demonstrations given by exhibitors and professionals from around the country, as well as engage in hands-on interaction with the most current devices and applications. Wednesday’s informative and inspirational Adult Luncheon will feature guest presenter, Eric McGehearty. Eric is the CEO of one of the most prominent digital marketing companies in Texas as well as television host, and sculptor. A dyslexic himself, he is committed to improving education for those of us that learn differently. This year’s conference hotel is located in the very heart of historic downtown Fort Worth. After a full day of learning and networking you’ll be within walking distance from some of city’s most famous cultural sights, restaurants and nightlife. 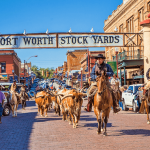 Plan an extended stay and visit the Fort Worth Stockyards and Sundance Square, or the numerous museums including the National Cowgirl Museum and Hall of Fame. So pack your jeans and cowboy boots, bring your questions, and get ready to learn from some of the best in the field. Don’t forget your event tickets, CEU’s, and prepare to greet old friends and make some new ones at the 56th Annual LDA International Conference in Fort Worth, Texas! 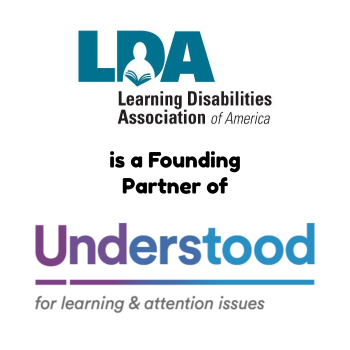 We’re still working hard on the same ideals that LDA was focused when we came to Fort Worth 50 years ago! Join us in Fort Worth! It’s not too late! The early bird rate has been extended. 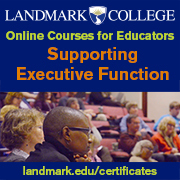 Click here for more information and to register today.